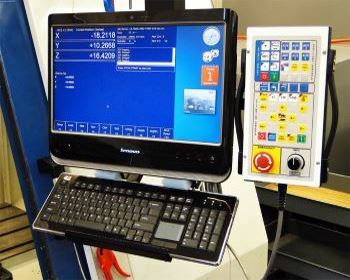 The current trend in the industry and over the last few years has been that CNC controls are more and more PC based, traditional control logic would for the most part be based on digital and analog electronic systems. Due to the complexity of these controls and number of components, they were prone to error and many unpleasant effects that would result in loss of production and high running costs. As CPU'S on PC systems have become more powerful, using the PC as the primary logic and replacement of the traditional systems has now become very popular with many companies in this industry and improvements across the board can be gained. IES created it's first PC based control in 1991 using MS DOS at the back-end and a Intel 486 processor. Our newest control is now Windows based and very advanced for the price, in fact our pricing is a major selling point for the IES control as clients can see that we offer similar features of more expensive controls for a fraction of the cost. The fact that our products are designed and created in South Africa, we have a distinct advantage of supplying the market in SA. * Completely Windows based PC control. * 6-Axis ready, setup is based on the specific machine being upgraded. * Low cost solution, very attractive price compared to our competitors. * Custom installation included with control to suite client requirements. * Designed to be effective on various types of machines. * Highly stable system, maximum uptime for machine operation. * Highly scalable system for easy integration and addition of other software. * Constantly improving with better performance on each release. 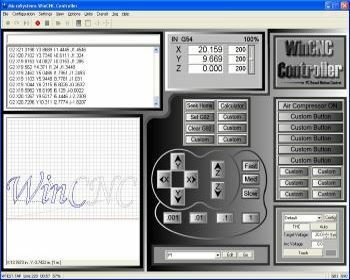 * Highly flexible system, due to the CNC being software based. * More content to be added in th future. * Already in use by many highly productive and stable machines. Recently IES acquired a contract to retrofit a Peddinghaus machine, this is the 4th of it's kind done by IES, the latest contract is using the latest software as well as the new SEW AC drives, the client is very impressed with the performance improvements, and machine up-time.For those who may not know, Peddinghaus machines are originally from Germany, they are very popular in the structural engineering industry, their main function is usually the accurate drilling on all axis, large I-Beams and other structural steel. The original 2 Peddinghaus retrofits are still in production and have been re-located to another engineering firm, originally these were located at Naco Structural Engineering. 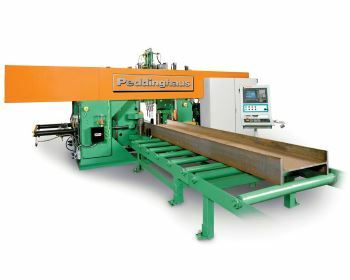 With our experience retrofitting these machines the latest version of software is a vast improvement on previous versions, however to our knowledge the last upgrade we have done recently, is the last Peddinghaus in SA, we will keep our site updated of latest progress and updates to these systems. 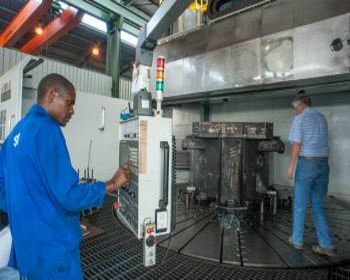 IES is currently in progress, completing a retrofit for Titanus Engineering in Meadowdale, Gauteng, the new CNC control is using the latest IES software, with some advancements from previous versions of the IES CNC software. The machines control, electrics and drives and other essential items are being replaced with new units and being completely rewired to maximize reliability.